There wasn’t the regular end-of-week post yesterday as Home Arty Home went on a field trip to scout around a few exhibitions taking place during the London Design Festival. 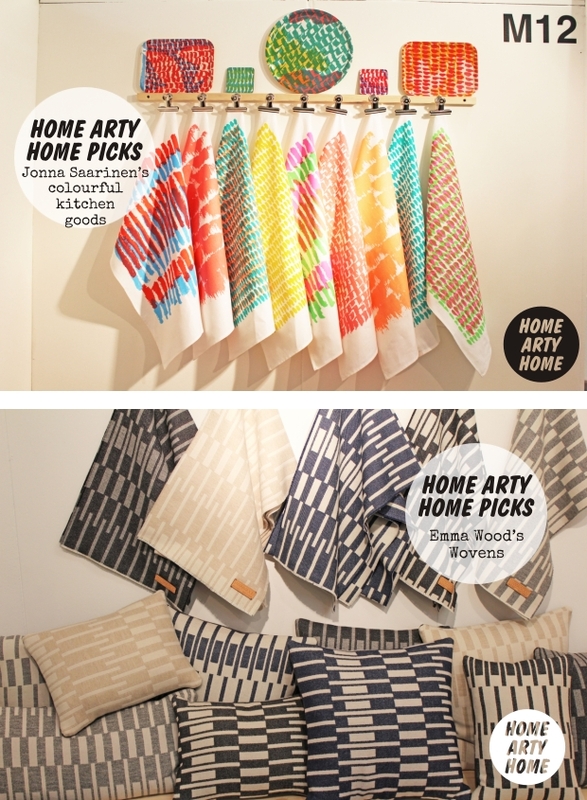 Here’s Home Arty Home’s quick pick of stand-out highlights from Tent London, Super Brands, and Design Junction. 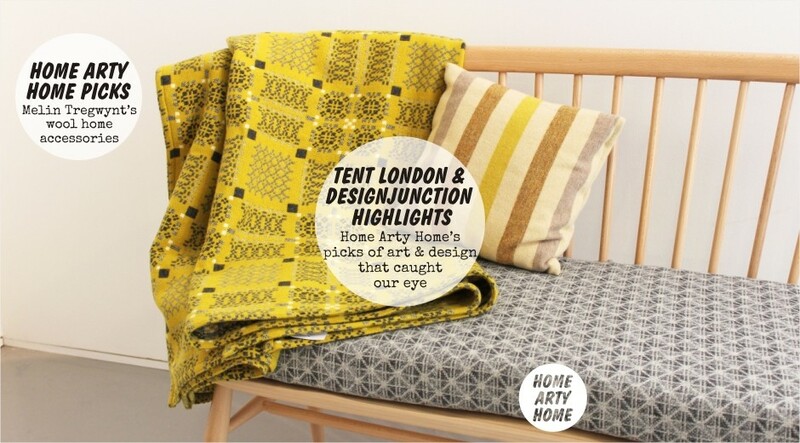 Tent London and Super Brands are at the Truman Brewery with Design Junction at the Bloomsbury Ballroom. Both venues are open today and tomorrow (and are open to the public to purchase an entrance ticket) so if you’re in the capital, make sure to hunt out these art and design finds. Tent London & Super Brands are open until 8pm tonight then 6pm tomorrow with Design Junction open til 6pm tonight then 5pm tomorrow. 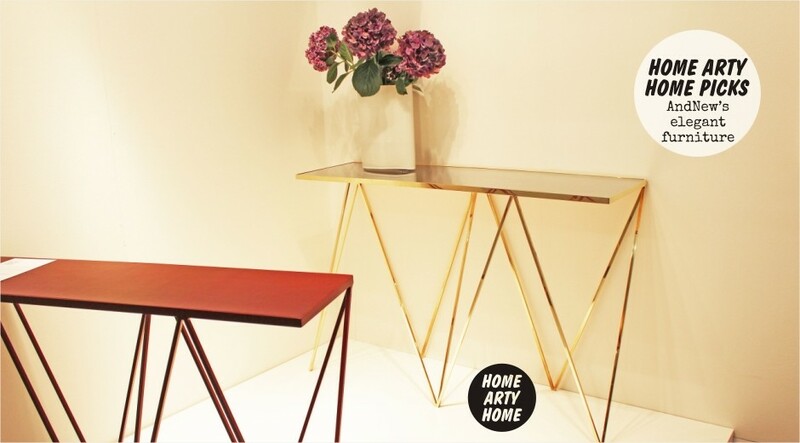 The elegant furniture of AndNew has featured on Home Arty Home previously and the collection has been expanded to include metallics and leather. 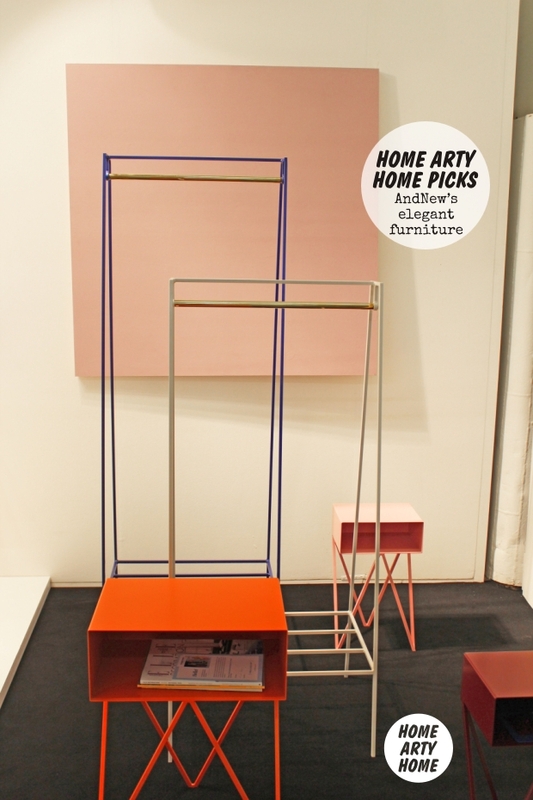 Find AndNew in SuperBrands at Tent London. Exhibiting at Tent London, Jonna Saarinen‘s brightly coloured textiles and trays will add instant fun and colour to a kitchen. 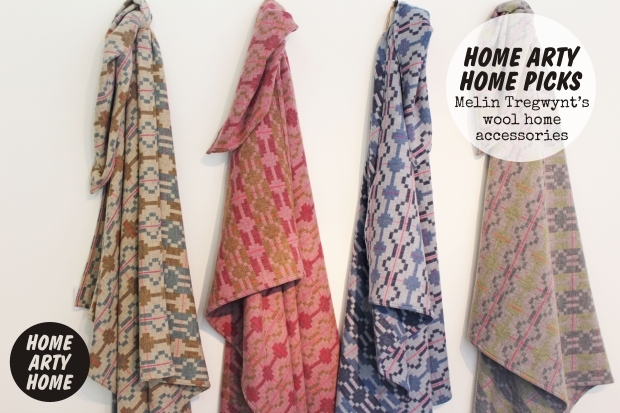 Alongside Jonna is British-American designer Emma Wood with her subtle woven accessories made in Berlin. Illustrator Sam Wingate has been inspired by his visit to Tokyo to create a series of linocut prints that evoke the Japanese capital. 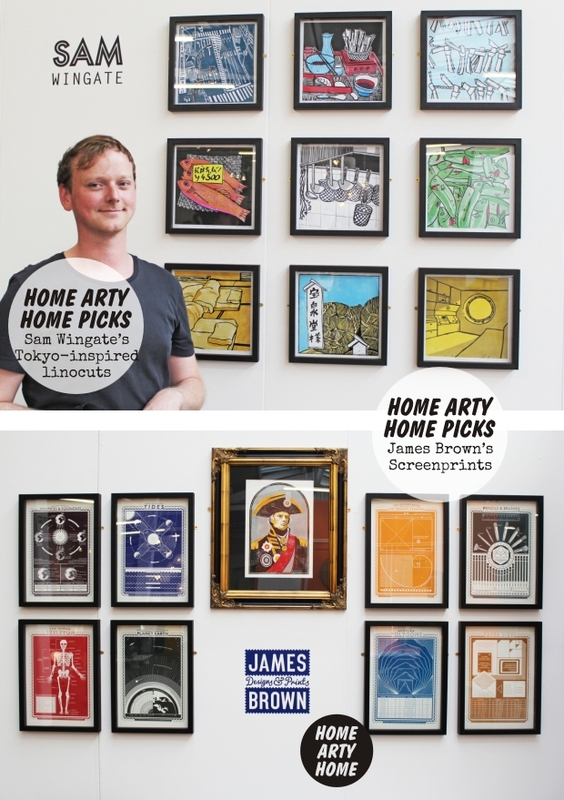 Next to Sam in the same area at Tent London, James Brown is showcasing his collection of screenprints. 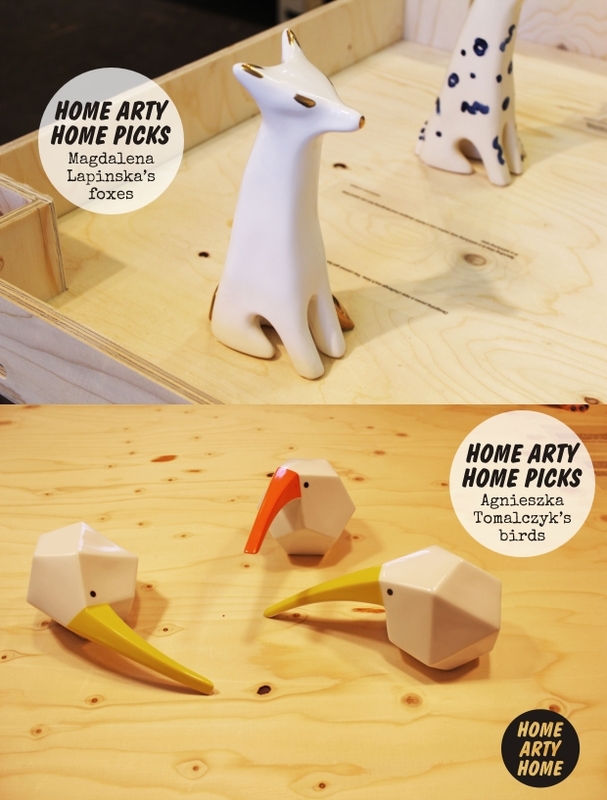 In the large Polish Design section of Tent London, elegant yet fun ceramic foxes and birds caught our eye by designers Magdalena Lapinska and Agnieszka Tomalczyk. 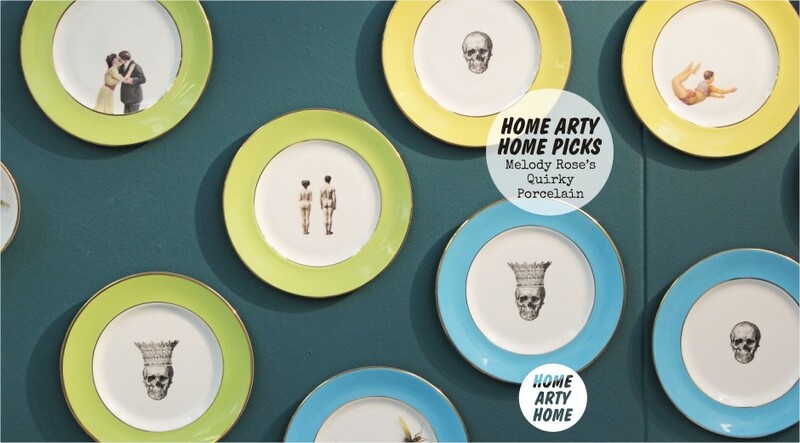 Home Arty Home also spotted Melody Rose at Tent London, pictured above, who we first discovered through Top Drawer with their quirky printed fine china collection. Over at Design Junction, Welsh company Melin Tregwynt are showcasing their growing collection of woven textiles. 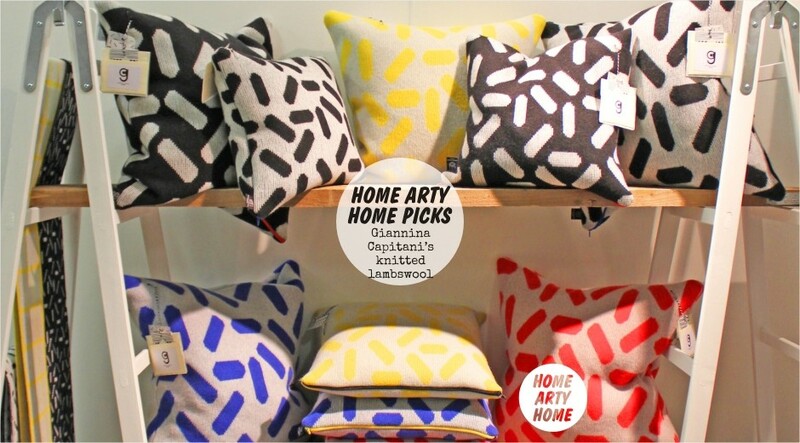 Home Arty Home loves the Mid-Century feel to the blankets and cushions in the image below as well as the mustard yellow throw in the gallery above. 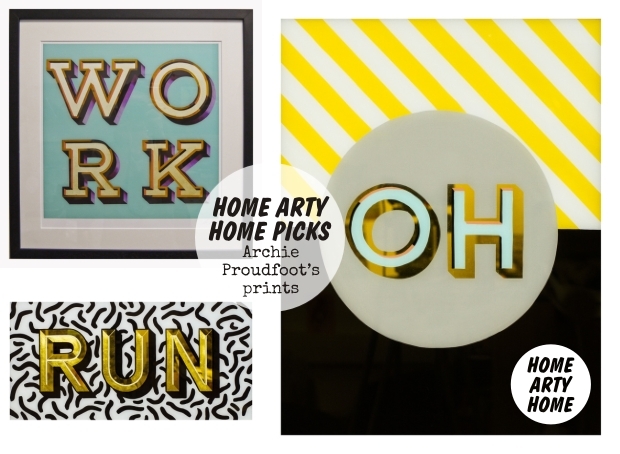 Also at Design Junction, sign painter and gold leaf artist Archie Proudfoot has produced a series of striking prints based on his original handcrafted pieces. 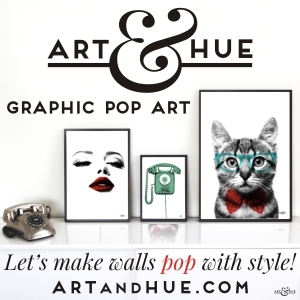 Simultaneously retro yet contemporary, Home Arty Home looks forward to seeing more work from this artist to watch. Finally, Giannina Capitani is displaying her Scottish lambswool interior accessories, pictured in the gallery at the top of this page. featuring graphic designs in bold colours, the collection is all made in London by Giannini herself. If you’re in London this weekend, head on down to take a look at the collections in person (you can buy tickets from the websites or on the door), or click through to take a look at each designer’s website to discover more.